The first pickup designed for drop "D" tunings and ultra-high gain rock music. 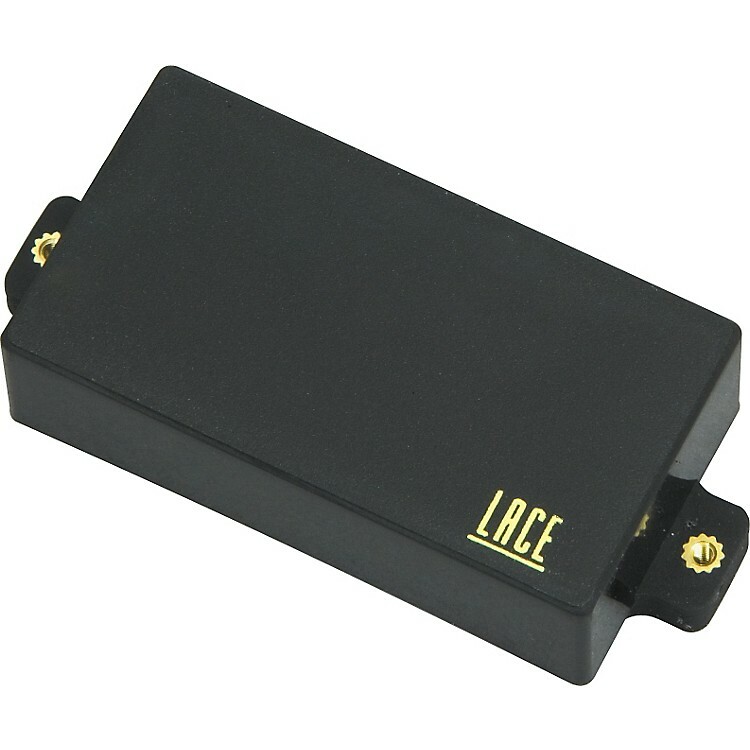 The Lace Drop and Gain Humbucker is the industry's first electric guitar pickup designed specifically for drop "D" tunings and ultra-high gain rock music. This totally re-designed pickup helps solve the common complaints of muddy, mushy tones and loss of single note articulation, while enhancing the guitar's own unique personality. The drop D string tends to have excessive string vibration which can overdrive the signal to the pickup. Lace uses "slightly less magnetic than stock" vintage pickups. This helps cure the excessive loose string vibration from overdriving the signal. Coils are mismatched, so in the bridge pickup the one 15.1k coil of the 2 coils drives the pickup hard and the other 9.0k coil pulls out the necessary articulation. A unique patented sensor design allows Lace to mismatch coils. This can only be slightly altered in a standard humbucker or the hum canceling effects will be lost. Lace pickups are single coil, with very little hum, so when combined in a humbucker pickup, they can greatly increase its dynamic range without adding noise, thus making the Lace Drop and Gain pickup unique in design, tone and functionality. This neck pickup will give you big, fat, over-wound humbucking sound. It is one killer neck pickup. Not used solely for Drop and Gain work. Also used in baritone guitars and with standard tunings. They work well for all types of musical styles. Drop it in the cart!